Another week filled with events in Greensburg! Planning for retirement but have questions about Social Security? Come join us on from 6-8PM to listen to our guest speaker & author, Brian Doherty! Brian is a nationally recognized expert on Social Security, frequent speaker & media commentator on this topic. He has more than 30 years of experience in the financial services industry, and is President of Filtech, a consulting company specializing in Social Security claiming strategies that helps retirees maximize their Social Security income. Limited seating, please RSVP to Cameron Roth at 724-875-4625 or email cameron@kattanferretti.com. Hosted by the Westmoreland Cultural Trust, Sip & Strum will start at 6:00 p.m. This week’s focus will be on finger picking. Crites, an internationally-shown artist from Seattle, gained acclaim in the art world by exploring tough subject matter through color theory in his paintings. 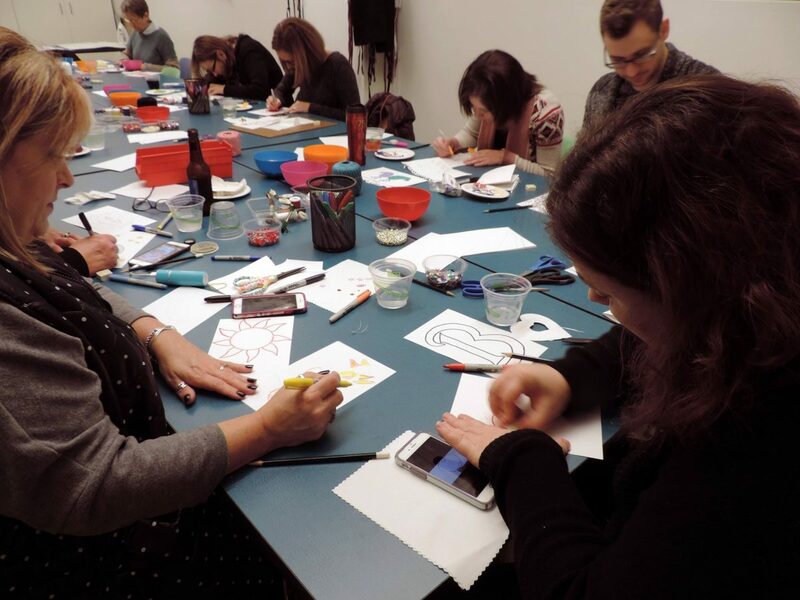 Join us for a unique studio experience and create your own paper bag painting. Cost is $20 members/$25 non-members. 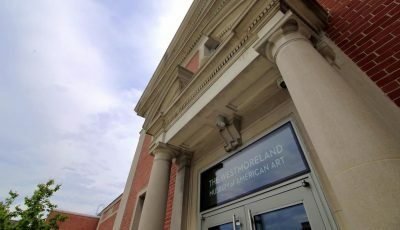 This event will take place from 6-8PM at the Westmoreland Museum of American Art. Stop out to Hugo’s Taproom to listen to Rabbit Hole Records spin tunes, enjoy beer specials, and enter for a chance to win an awesome, limited edition, Dogfish Head record player. 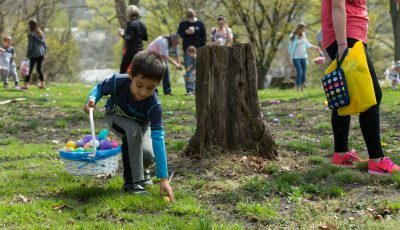 From 6-9PM at the Greenburg Garden & Civic Center, join us for a super fun event with Hide & Seek Egg Hunt, Prizes, Music & Dancing with DJ Jeff, appetizers, and 50/50 drawing. Cost is only $25 per person. Call (724) 837-8873 to purchase tickets. Join us for Stage Right’s latest production at the Palace Theatre! This timeless rock opera is set against the backdrop of an extraordinary and universally-known series of events but seen, unusually, through the eyes of Judas Iscariot. Loosely based on the Gospels of Matthew, Mark, Luke and John, Superstar follows the last week of Jesus Christ’s life. The story, told entirely through song, explores the personal relationships and struggles between Jesus, Judas, Mary Magdalene, his disciples, his followers and the Roman Empire. Shows are Friday the 12th and Saturday the 13th at 7:30 PM, and a Sunday matinee feature on the 14th at 2PM. Tickets: Adults-$19, $23, $26 & Students- $16, $19, $21. Make that used clothing go twice as far! Donate your used clothing, shoes, purses, etc. and not only will they find new homes, but Feeding the Spirit will be compensated for each pound donated. Feeding the Spirit’s Annual Fill A Truck Event at Z&M Motorcycles will start at 9:30AM. Join us to fill our truck with gently used clothing, bedding, shoes, and purses. We work directly with Mission Partners to collect the donations. 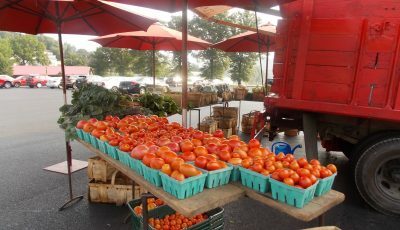 Mission Partners distributes the collection and reimburses us per pound collected. Calling ALL courageous men of Westmoreland County … (women and children are welcome too!) This is the 9th Annual Men’s March in Westmoreland County to end all forms of gender-based violence. It is a call to action to our community, and a way to raise much-needed funds to support our mission. This year, we will be back at St. Clair Park in Greensburg! Registration begins at 9AM and the walk begins at 10AM. Online event registration will close at 12PM on April 12. Registration will still be available in-person at the Walk! For more information, visit www.blackburncenter.org, or call 724-837-9540, ext. 144. Come shop everything from chic to antique at Your Favorite Things Greensburg from 10Am-6PM. Enjoy delicious food from the food truck, live music by our favorite band The Joint Commission and of course, lots of cool stuff made locally. If you have handmade or even household goods you’d like to sell, sign up now. Spaces will fill quickly. Join us at Greensburg Salem High School from 9AM-2PM to see Hunt and Gather Style Design Studio’s latest creations at this 2nd annual event hosted by the Greensburg Salem Cheerleading Parent Association. From 10AM-12PM at Hempfield Township Athletic Complex, join us for the annual EggStravaganza, an egg-stra special egg hunt with the children of Hempfield Township. This event will include games, egg hunt, prizes, and an appearance by the Easter Bunny. This event is held rain or shine. Be sure to bring your own basket as well as a camera to capture those special moments. Hempfield Township residents only. Registration required for children under 12 years old. From 3-4:30PM at Moonglow Yoga, join Jenny Dayton, E-RYT and Erin Green, LMT, for an afternoon of ultimate relaxation. Jenny will lead you through a series of restorative yoga postures and guided meditation as Erin massages CBD oil to the neck, feet and hands. CBD oil is paving a path for the new era of human health and wellness. It is a non-psychoactive cannabinoid that does not contain THC. A CBD oil massage allows CBD to be absorbed by the skin, a natural, non-invasive way of feeding your body the nutrients it was meant to receive to combat daily instances of pain, blood sugar spikes and promote restful sleep. No yoga experience is necessary. Due to the nature of this workshop space is limited to 12 people. $30 per person. Click here to register. Join us again at True Health and Fitness from 2-7 PM for a fun afternoon of gemstone shopping. Don’t worry, we won’t sell out of the big stuff this time! Rare stones, large raw and cut stones, palm stones, jewelry, and more. Light refreshments will be served and a guideline on the healing properties of the stones will be available. The event will take place in upper level (clinic) and is open to the public, please bring friends and family! Join Youngwood Top Dog Services for a one-of-a-kind egg hunt with your dog at Christ United Methodist Church from 3-5PM! Proceeds benefit The Stoneybrook Foundation! We use a 3 acre property to spread out & hide hundreds of eggs! We will pass our small bags to each guest that comes. Each pup can pick up and have 10 eggs of any assorted color except gold, which every group will be allowed one golden egg. They will be packed Specifically by color so if your dog has a food allergy you can know what is inside of the egg before they eat it. For more information: little_44rodney@yahoo.com . From 9PM-12 Midnight, come to Oliver’s Pourhouse for another great night featuring live entertainment, The String Theory! Tim Bush is releasing a debut solo album “A New Day Will Dawn”, which will be performed live in its entirety at All Saints Brewing in the Brew House. All of the musicians who performed on the CD will be joining me on stage. There will be a jam session with all musicians to close the night and a food truck, too. Hope to see you there!